October 22, 2014 – Dr. Joel Parker of the Southwest Research Institute (SwRI) in Boulder will present two public sessions on the progress of the Rosetta mission at Fiske Planetarium this week. He’ll explain what’s currently happening and share the excitement of why we study comets and what they can tell us about the formation of our solar system billions of years ago. The public event will begin at 7 p.m. and there are two separate nights, October 23 and 24, to make it easier for everyone to attend. On October 23, current University of Colorado students with a valid Buff ID card can attend the presentation for free. Tickets are available to the public for $10 for adults, and $7 for children/students/seniors. Joel Parker is a research astronomer, space mission manager, and director of the SwRI Planetary Science Directorate. He serves as the deputy principal investigator for the Alice ultraviolet imaging spectrometer, one of three NASA instruments aboard the European Space Agency Rosetta comet orbiter. Alice is a highly miniaturized spectrometer designed to probe the atmosphere and surface of Comet Churyumov-Gerasimenko/67P. Spectrographs split or disperse light – ultraviolet light in Alice’s case – from objects into wavelengths. Alice’s data is being used to analyze the composition of the comet’s atmosphere, map its surface, and study the properties of fine dust particles coming off the comet. 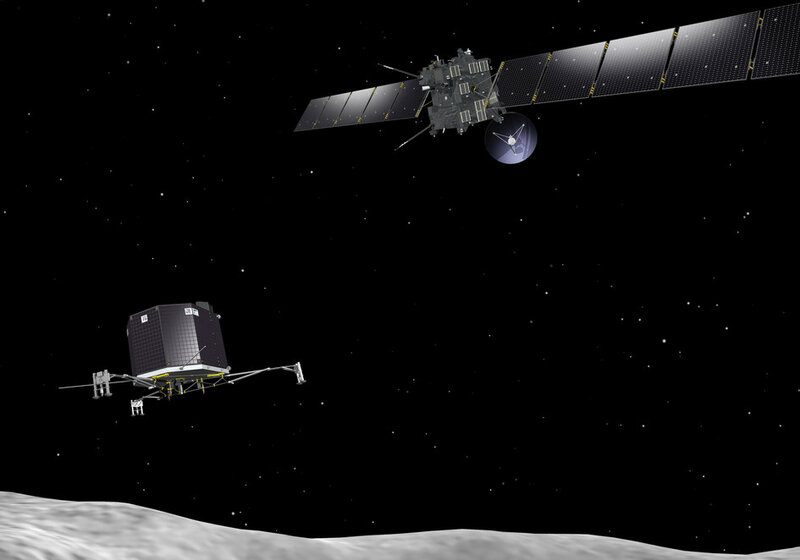 On August 7, Rosetta became the first spacecraft to orbit a comet. Rosetta’s rendezvous with Comet 67P/Churyumov-Gerasimenko has opened a new chapter in Solar System exploration. Comets are considered to be the building blocks of the Solar System and may have helped to seed the Earth with water, making life possible. Rosetta will help answer fundamental questions about the origin and evolution of our solar system and the role that comets may have played.